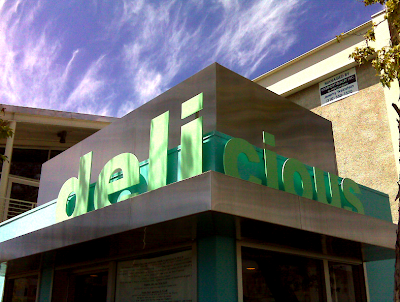 I work a few blocks away from - delicious - a little cafe that's attached to the Frank Gehry building. They have a nice menu of prepared foods, sandwiches and smoothies plus a perfect deck to eat your lunch. 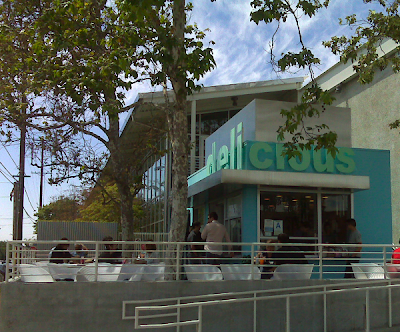 0 Responses to "LOVING EATING SMALL: delicious in Los Angeles"